Showing results for tags 'clavius'. An image of the mighty Clavius. One of the larger craters at 225KM in diameter. A very impressive walled plain that contains an arc of addition craters diminishing is size from 55KM (Rutherford) down to 12KM (Clavius J). Moretus is further towards the pole, and is around 114KM. It has a great central peak rising to 2700m) and numerous terraces. The tops of other craters can be seen towards the horizon, and the south lunar pole. 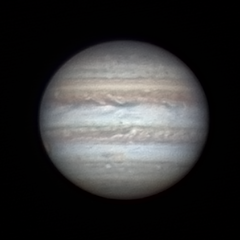 Captured with a ZWO174mm (using a 642IRBP filter), on a Celeron Edge1100HD and CGEMDX mount. Image capture was via OACapture, stacked in Autostakkert2, Sharpened in Registax, finished in photoshop. Moon : Great Clavius near the limb 15/02/28 with 625 mm barlow 3 IR 685 in bad conditions. I haven't done any lunar stuff for ages, but I do enjoy it. I managed to get these two back in October: Copernicus Clavius Equipment as per sig, QHY5liic through a 2.5x barlow, Pixinsight processing. C & cc welcome, hope you enjoy ! Taken with smartphone Samsung Galaxy fame(GT-S6812) no lens, barlow 2x, 150mm chinese mirror kit, dobsonian mount homemade....Unfortunately processed on computer(no bonus consideration, i know rsrs). Stacking with AS!2, processed with Registax 6 and photoshop.